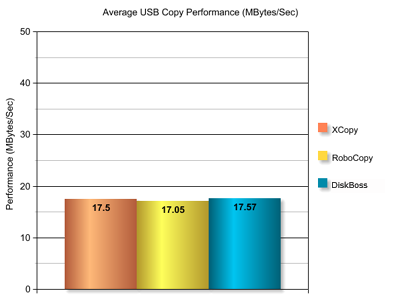 Copying files from one location to another is potentially one of the most frequently performed operations. 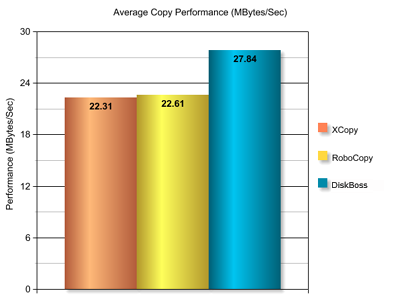 Most of the time we are copying a couple of small files and the performance of the used copy tool will have no significant impact on the overall copy time. If it is copied within 20 seconds or 30 seconds is not so important. 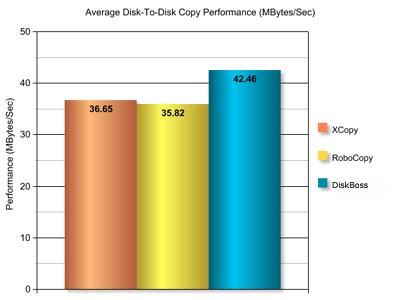 But, when we need to copy a number of recently downloaded DVD images, or backup the whole hard disk to another computer over the network than better copy performance may result in significant time savings. Business needs are much more demanding and every computer professional knows that each saved hour means a lot of money. Data migration projects have very strictly defined windows of time and every hour of downtime costs thousands of dollars. The following factors may be identified as the most important for each data migration project: data integrity, reliability and fault tolerance and consistent copy performance. The DiskBoss's build-in copy engine has been designed to meet demands of advanced computer users and computer professionals performing small to medium-sized data migration projects. The DiskBoss's copy engine employs integrated fault-tolerance and data integrity verification mechanisms while pushing the performance of copy operations to the limits of the used hardware components. 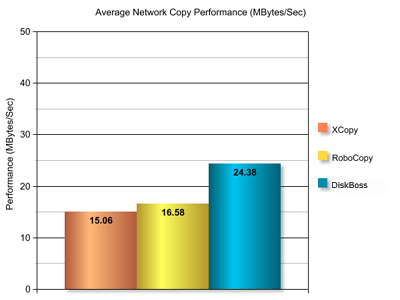 In order to be able to maximize the copy performance, the DiskBoss's copy engine provides the user with the ability to specify the number of copy streams that should be utilized during the copy operation. The copy engine employs an intelligent, adaptive scheduler, which on-the-fly selects the most effective scheduling policy according to the currently copied content type thus maximizing the overall copy performance. The DiskBoss's copy engine is especially optimized to deliver a high level of performance on all modern hardware components including fast disk drives, powerful RAID controllers, multi-core CPUs and Gigabit Ethernet networks. When copying data from/to a large-scale enterprise storage system, the user will be provided with the ability to utilize all the available I/O resources by using the parallel file scanning mode and multi-stream copy mode available in the DiskBoss's copy engine. * This performance review has been prepared for information purposes only and we are strongly advise you to make your own performance evaluations using your specific hardware components and datasets.